Mohamad Salah, Riyad Mahrez, Yaya Toure, football fans would recognize these names frequently on professional football lineups all over the world. However, aside from associating themselves with the sport they love, these players can relate to each other on a whole other level, religion. Islam, a decision which alters their experiences in professional football from the months they spend fasting in Ramadan to the way they portray themselves off the field. Muslims in football come across some unique and often challenging circumstances. Consequently, a need for an association which recognises and supports Muslim footballers came about. 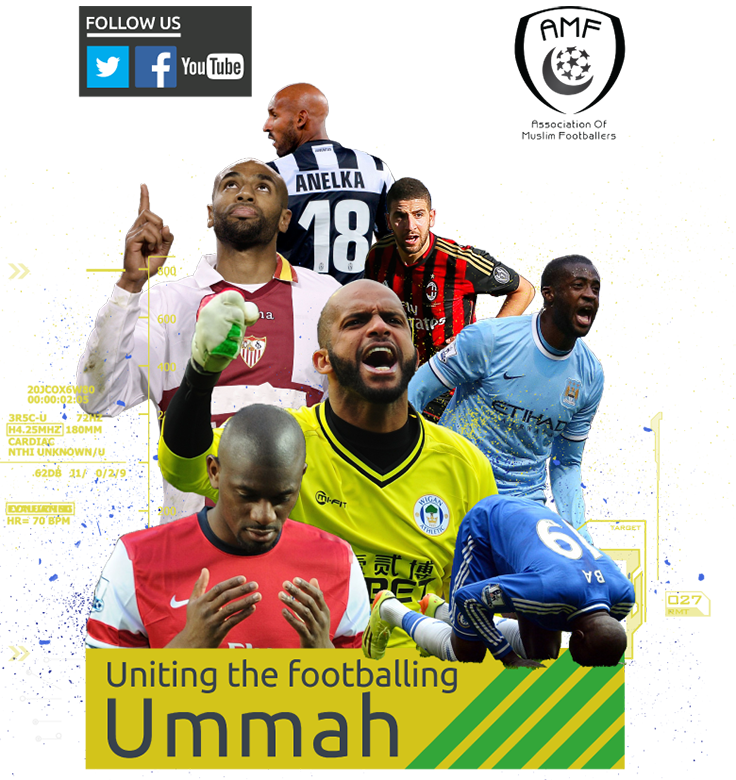 The AMF (Association Of Muslim Footballers) was established in 2012 with the aim of "Uniting The Football Ummah". The AMF hopes to provide a platform for the professional Muslim footballer to share experiences as well as relate with fellow professionals. We had the opportunity to ask some questions to the team behind the scenes at the AMF, they gave us an insight into the workings of the association. What kind of things does the AMF provide for Muslims in football and how does that help a players career? The AMF was set up in 2012 and mainly deals with Muslims in Professional Footballers. We seek to recognise and support the Footballers in professional football and provide a platform for professional Footballers to share their experiences of overcoming barriers with aspiring Footballers, and young people in general. The AMF also acts as a social forum for Footballers to share their unique experiences with each other - obvious examples include coping with Ramadan as an Athlete. In addition, Footballers use this forum to support each other when moving from one club to another to ensure they and their families have a smooth transition after a transfer. There has been a lot of discussion about the inclusion of young British Muslims in youth and professional football, is this something on the agenda of the AMF? We mainly work with professionals and are not directly tackling the issue at the grassroots level as of yet. However, we hope by raising the profile of Muslim footballers and highlighting their contribution and successes on and off the pitch, this will inspire and motivate youngsters to follow a similar career path. Is the AMF in contact with football governing bodies such as the FA, FIFA and UEFA? We have worked closely with unions such as the Professional Football Association (PFA) and other Football organisations within the game to highlight the particular issues faced by Muslims in football, and how they can be overcome. That's the educational and awareness part of our work which is an initial and fundamental part of our support. For example, we recently played a key role supporting a campaign titled 'Fast and Fasting #Ramadan'. This campaign involved Footballers wearing a T-shirt which raises awareness about the holy month of Ramadan and fasting. There was recently a documentary on the BBC titled "The Muslim Premier League", since the airing of the documentary have you noticed an increase in the awareness of Muslims in football? Yes, of course, we played a pivotal role by providing access to the players who appeared on the programme which was commissioned by BBC in conjunction with ourselves (AMF). Aside from the inclusion of footballers both currently playing and retired is there a sector for Muslim managers and coaches? We do accommodate coaches, managers, and doctors/physios etc. One recent example is the inclusion of Dr Zafar Iqbal, the former Liverpool FC Club Doctor who was our club doctor at the recent Charity match in the Middle East. The AMF is in regular communication and strongly backed by many professional Muslim footballers and Muslim professionals within the game including club doctors, club physios, coaches and the like. The AMF includes a number of high profile footballers could you let us know some of the footballers involved with the AMF? Some names mentioned and hundreds of others including Yaya Toure, Nicolas Anelka, Mohammad Abou Trika, Abou Diaby, Kanoute. We are not a membership-based organisation but we are endorsed by players from across the globe, from Europe, Africa to Australia. Recently photos of Muslim footballers on Umrah have been seen on social media, how was that event organised and was the AMF involved? We play a match for charity on an annual basis - the first game was in Makkah and now the 2nd game took place in Medina a few weeks ago. We play against a select team of Saudi / Arab professional players and the match is aired live on many sport TV platforms. 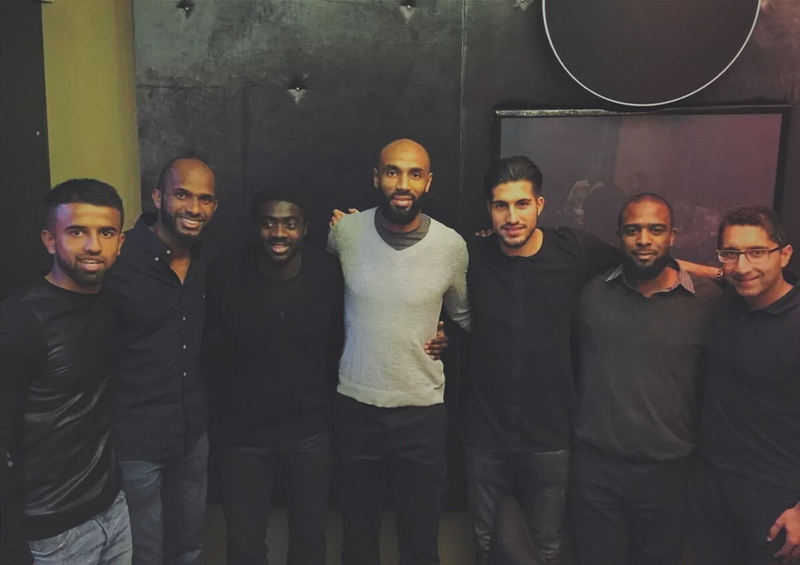 Part of this trip is an Umrah which players partake in in addition to some Media conferences and other activities. Finally, looking forward what kind of things is your association planning for the future? To continue to grow and achieve our objectives on a much larger scale, Allah willing. We think the AMF is an amazing organisation. It is definitely needed and has the potential to become extremely influential both in the Muslim community and beyond. With football being the most popular sport in the world, an association that connects both Islam and Football can only be positive. Please support the AMF by checking out their Twitter and Facebook pages. Enjoy this Article? Please feel free to share it on your social media, Also don’t forget to give us some feedback. We are on FB , Twitter and Instagram!